The President of AAFB, Marie-Hélène Caillol, had the honour of being invited to speak in the plenary opening session of the Autumn agora of AEGEE in Kiev on October 15th. It is always a moment of emotion to see these grand-messes that AEGEE manages to organise twice a year gathering each time 500 to 800 students: immensity of rooms and organising teams, stadium-like dormitories and the energy and the true European atmosphere,… For us, Friends and heirs of Franck, it is so comforting to see how strong he still exists in Europe today. 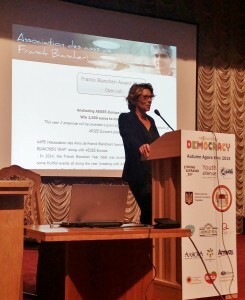 Marie-Hélène was granted 15 minutes of speech during which she told the story of Franck Biancheri, starting from AEGEE of course, and highlighting the purity and uncompromisedness of his 30 year-long fight for EU democratisation… a fight he fought against many… but which today would have avoided Europe so much suffering has it been won. Once more, Marie-Hélène reminded the students of AEGEE that “just like Erasmus wouldn’t have existed without the students of AEGEE, Europe is going nowhere without its citizens” and insisted on today’s AEGEE students’ potential in contributing usefully to address today’s dramatic European political crisis. Two days earlier, on Nov 13th, Marie-Hélène Caillol also had the pleasure and a honour being invited as speaker in a very interesting conference organised by AEGEE Kiev, entitled “Young Ukraine” in the panel discussion “Role of the youth in the political Transformation of Ukraine”. There she presented her views on “Future of Ukraine : Ukrainian youth at the spearhead of national reconciliation”, suggesting that peace is the only relevent objective to pursue seen both from the point of view of youth and from that of Europe. 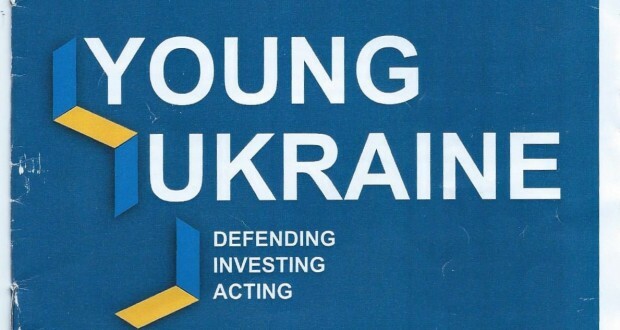 She indeed reminded that Ukrainian youth had no chance of any positive future besides this aim, on the one hand, and that the project of European integration had been sold to European citizens as a peace-project for the past 70 years, on the other. She was shocked to hear the EU representative (David Stulik, Press and Information Office at the Delegation of the European Union in Ukraine) in the morning panel on European values use words such as “barbarians”, “patriotism”, “self-sacrifice” in front of a public of young Ukrainians and Europeans who explicitly forgot to appaud him. Right after the EU presented this terrible image of itself, a representative of the Ukrainian Ministry of Foreign Affairs on the contrary reiterated the need for peace as only aim of everyone’s efforts. 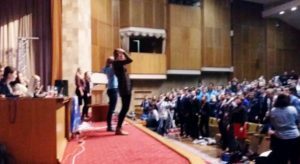 It was Marie-Hélène’s second time in Kiev with the students of AEGEE-Kiev in less than a year. 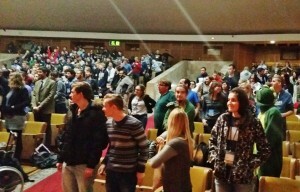 Again she was charmed by the cleverness, efficiency, openness and friendliness of AEGEE-Kiev members. Congratulations and good luck AEGEE-Kyiv: you’re doing a wonderful job! Previous: The “Little Blue Book” is back!